The DeKalb Area Rental Association is an organization of residential and commercial rental property owners and managers united to promote safe, affordable quality housing, fair business practices, and the preservation of property rights. Members Login which includes access to the DARA FORUM, Sample Documents, Credit and Background Resources, Useful Links, City Ordinances and Recent News. A positive community education and public relations program about our business. Proactive action and updates on local, state, and federal legislation. The framework for a professional affiliation providing communication with legislative bodies. Quarterly meetings with address membership needs. Speaker programs which provide insight to the local market and better ways to do business. A networking fellowship which shares information on better business practices. Opportunity to participate in steering the direction of the association. Promote, employ and maintain a high standard of integrity in the performance of all rental obligations and services in the operation of our apartment communities. Maintain and operate our rental properties in accordance with fair and honorable standards of competition, ever mindful of the purposes of the DeKalb Area Rental Association and in compliance with the by-laws thereof. Strive continually to promote the education and fraternity of our membership and to promote the progress and dignity of the rental housing industry in creating a better image of itself in order that the public may be better served. Seek to provide better values, so that an even greater share of the public may enjoy the many benefits of living in rental housing. Establish high ethical standards of conduct within the rental housing industry in the business relationships between the owners, managers and suppliers of products and services to the industry. Maintain our properties to at least the minimum property standards of the appropriate governmental authority. Provide to the public a convenient means of contacting the individual in charge of a particular rental property. 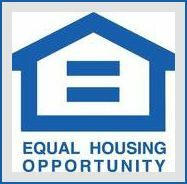 Ensure that every qualified individual, regardless of the individuals’ race, color, religion, gender, disability, familial status or national origin, in full compliance with Fair Housing Laws, is afforded the same opportunity to rent and enjoy the benefits of a rental unit. To network in an interchange of information and experience with State and Local affiliated associations. To encourage within the rental industry an appreciation of the objectives and responsibilities of rental property owners and managers in providing quality housing and promoting quality neighborhoods. To promote the enforcement of Local, State and Federal laws applicable to rental property and private property rights. To disseminate useful information to all members and to educate themselves in the daily operations of their rental property. To promote and maintain high standards of conduct in the rental property business as expressed in the Code of Ethics. To monitor and influence existing and proposed local and state rental property legislation. Primary Members – Primary Members pay annual dues and have voting privileges. A Primary Member is described as anyone who is actively involved in the management or ownership of residential or commercial rental property in DeKalb County, has submitted an application for membership and has been approved by the Board of Directors. Affiliate Business Members – Affiliate Business Members pay sponsorship dues, have NO voting privileges. An Affiliate Business Member is described as a business and/or association that would benefit DARA (i.e., Contractors, supply vendors, Banks, Lawyers, etc.). Affiliate Business Membership would be approved by the Board of Directors. The elected officers (Executive Committee), President, Vice President, and Secretary/Treasurer serve a one-year term. The officers shall be elected by the membership. The board will consist of 4 additional directors serving two-year terms. After the term is complete, the director may be re-elected if the general membership votes accordingly. Two will be elected each year to serve a 2-year term. The nominating committee shall consist of (1) One director, whose term shall not be expiring in the year of appointment, to serve as chairman. The appointment shall be made by the President. (2) Two members of the Association, to be selected by the chairman. (3) Others person(s) as determined by the chairman. Committees are as follows: Membership, Program, Legal, Website/PR and Government/Legislative Review. Any other standing and special committees may be appointed or eliminated by the President of the Association with the approval of the board of directors. Article IX: Headquarters The office of the Association shall be designated by the board of directors. Article X: Limitations of Liability The DeKalb Area Rental Association shall not be liable for any acts, expenditures, or commitments of individuals unless such acts, expenditures, or commitments shall have been approved by the Board of Directors and recorded in the minutes of the Association. The DeKalb Area Rental Association shall maintain director and officers insurance at all times. Article XI: Indemnification The corporation shall indemnify any and all of its directors or officers or former directors or officers or any person who may have served at its request, against expenses actually and necessarily incurred by them in connection with the defense or settlement of any action, suit or proceeding in which they, or any of them, are made parties, or a party by reason of being or having been directors or a director or officer of the corporation, except when such officer, director, agent, former officer or former director shall be determined in such action, suit or proceeding to be liable for willful misconduct in the performance of duty. Article XII: Parliamentary Authority The rules contained in the current edition of Robert’s Rules of Order Newly Revised shall govern the DeKalb Area Rental Association in all cases to which they are applicable and in which they are not inconsistent with these bylaws and any special rules of order DeKalb Area Rental Association may adopt. Article XIII: Amendments These Bylaws may be amended by an affirmative vote of two thirds of the members present at any regular, annual or special meeting of the Association, provided the proposed amendments were first approved by the board of directors and that such proposed amendment had been published in writing at least ten days prior to the meeting in which action is to be taken. Please download the following pdf Application, fill out, and snail mail to us with your check, to the address at the top of the form.